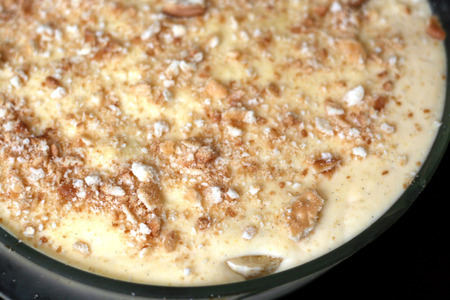 Banana pudding just may be the ultimate comfort dessert. I love how it's at home at both a summer and a winter table. Something about it is perfect for all seasons, and something about it crosses cultural boundaries. A dessert that was invented in the South of the United States, it's been adopted across the US although it most definitely is not quite as ubiquitous as it is below the Mason-Dixon, where it shows up at potlucks, church socials, funerals and birthday parties. Its first written iteration shows up around 1900, although it didn't hit mass popularity until the '60s. Can you believe it? It's become such a classic in such a short time. 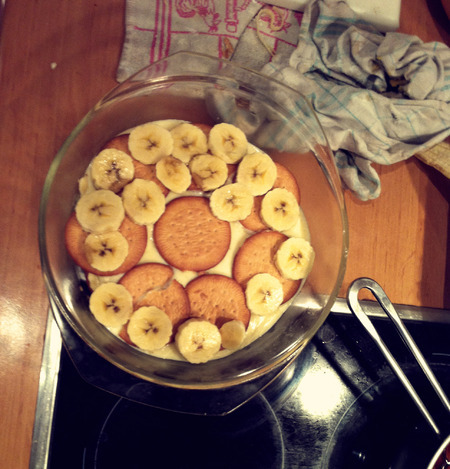 The main problem with making an authentic banana pudding in Spain? It's the lack of Nilla wafers. But, in my usual determined way, I set to thinking. What is REALLY the difference between a Nilla wafer and a galleta Maria? Well, ingredients lists side by sides, the galleta Maria has vegetable oil where Nilla has soybean oil and has no high fructose corn syrup. And in a side by side tasting, the flavors are quite similar. So Marias it was. 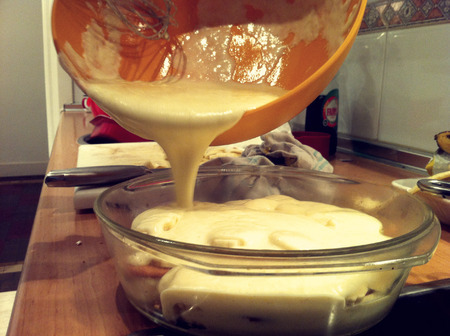 Many versions of banana pudding call for instant pudding mix. Get your egg out. Get your milk out. A sprinkling of cornstarch. Do this yourself!!! It really does taste better when you use homemade "pudding" (ie thick creme anglaise). Poured warm over handplaced layers, it's delicious after setting up in the fridge. 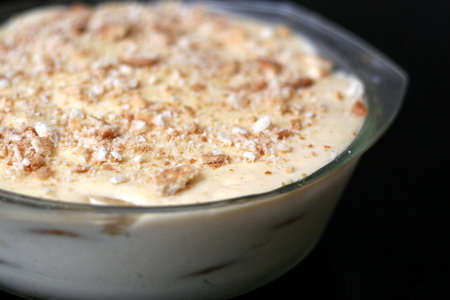 It turns out that however you pronounce it and whether you use Nilla wafers or galletas Maria, banana pudding is equally delicious and equally beloved (served to the tune of Ostia, que bueno). In case you were wondering, the National Banana Pudding Festival takes place in Centerville, Tennessee. 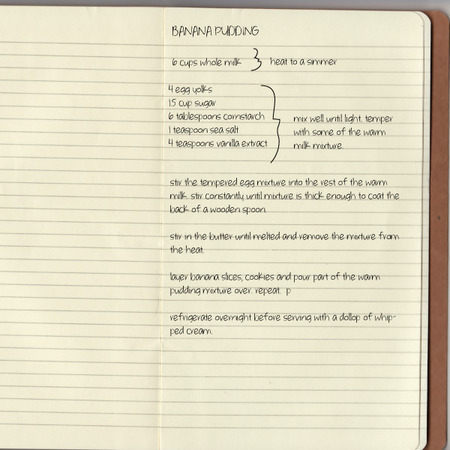 Read on for the recipe, reproduced as it is written in my trusty moleskin.